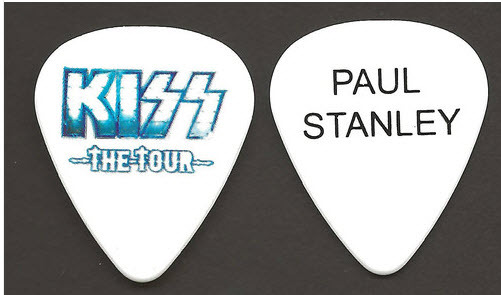 New KISS picks “Retro” look!! AWESOME!! 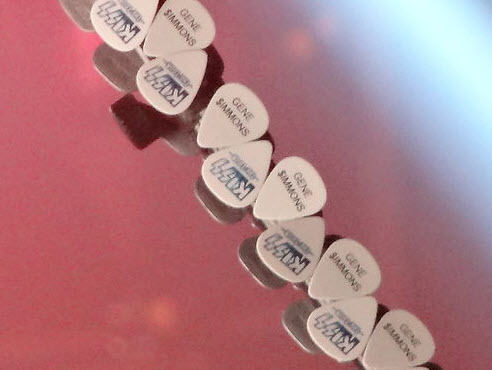 I’ve been kind of disappointed over the last few years of the lack of cool guitar picks. But, to me, these are BADASS!! These have a cool 70’s throwback on the back of the pick, printing the names instead of an autograph!! VERY NICE!! Found this on ebay from seller spockguy…..so all credit goes to him! And sorry for stealing your pictures!! 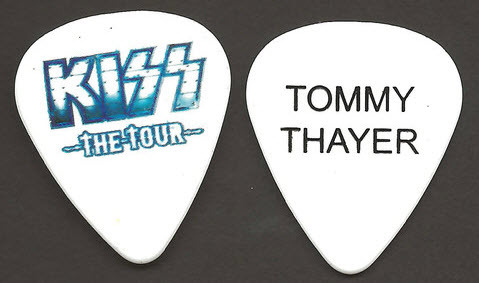 He had pics of the picks and pics of them on mic stands and Tommy’s guitar!! Just getting back into the vinyl area of the world and stumbled upon this VERY cool bootleg. 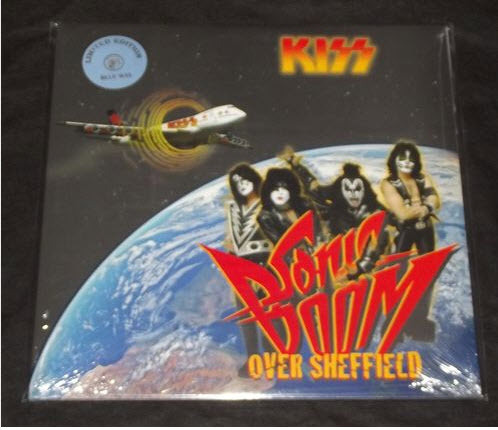 “Sonic Boom Over Sheffield” is from Sheffield Arena UK, 1 May 2010 (Opening date of Sonic Boom Over Europe Tour). It was pressed on blue vinyl and limited to 500 copies! Found this last night on Ebay, thought it was kind of funny and cool at the same time. It’s a high school year book from 1976 with a picture of Tommy Thayer in it!! Back then we was only “Tom Thayer”. Very strange to think KISS was hitting their peak of popularity then and here is Tommy in high school!! Ebay: 1980 KISS Soundboard Tape? A few questions!! Ok..so I was surfing around Ebay last night and found this auction. It is for 12/3/80 Auckland, New Zeland show. This was Ace’s last show until the reunion. I can’t question if this tape was actually owned by Eric Carr as the auction states, but I do have a few questions about it that maybe someone can answer. Here is a quote from the auction listing: “YEARS LATER SOME PEOPLE HAVE MADE ROUGHN COPIES FROM THIS TAPE AND HAVE PUT THEM INTO CD FORM. BUT ALTHOUGH THEY SOUND VERY GOOD, NOTHING IS LIKE THE SOUND YOU WILL HEAR FROM THE ONE AND ONLY!”. Wouldn’t be the exact same? I mean you are just making a copy of a tape. Plus when it’s put on CD you can edit the sound before you burn it to cd. I am sure who ever put it on CD tried to cut the tape “hiss” and improve the over all sound quality. “SOME PEOPLE HAVE MADE ROUGH COPIES FROM THIS TAPE”. What people? So you are not the original owner? If there are CD copies (which there are, I picked this up like 10 years ago a Konvention in Detroit!) what makes is so special to pay that price. 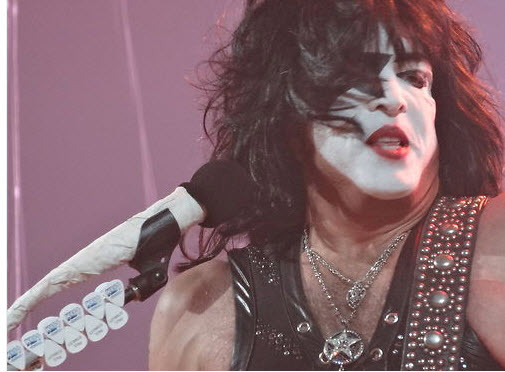 Yes it may have been owned by Eric Carr, but this is nothing that we have not heard. More statements from the auction: ‘ORIGINAL NOT A COPY!!! 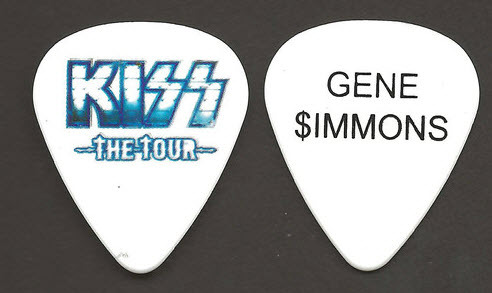 THIS AUCTION IS FOR AN AMAZING PART OF KISS HISTORY! SO THIS TAPE MADE IT ROUNDS WITH THE BAND. 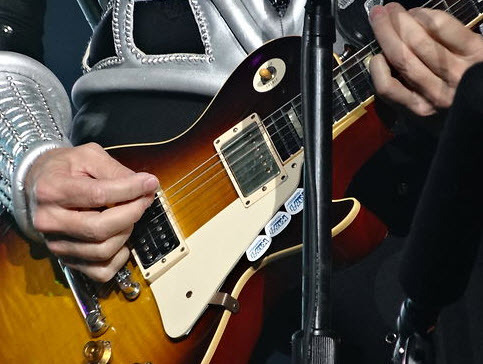 SO if this tape has made the rounds with the band….how do we know this is not a copy of the original tape? ?